This lightweight hamper opens easily to hold a full load of laundry. It is constructed from mesh material; this permits air to circulate throughout the hamper eliminating moisture and typical laundry hamper odors. Two sturdy handles at the top of the hamper make it easy to carry in one hand, allowing you to carry along your detergent or other needed items as well. No need to figure out where to store a bulky laundry basket, this hamper folds flat. The frame on this hamper is flexible, so you can fold it flat for convenient storage when it's not needed. This foldable feature makes it particularly useful for college dorms, camping, traveling, small apartments or anywhere space is limited. This mesh bag is also ideal to take along as a beach bag to hold your beach towels and toys. The sand will slip through the mesh, so you won't find yourself taking the sand home along with you. The Mesh Foldable popup Hamper measures 14 inches X 24 inches. It is available in the following colors: black, white, red, and navy blue. GREAT FOR SAVING SPACE: Perfect hamper for college dorm, small apartment, traveling or anywhere space is limited. 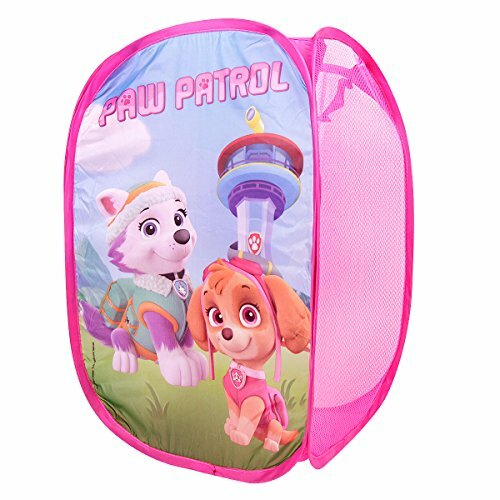 STORES FLAT: Twist the flexible lightweight frame on this pop up hamper to fold it flat for convenient storage. STURDY MESH CONSTRUCTION: Durable mesh material allows air to circulate in order to eliminate moisture and odors. GREAT FOR HOME OR TRAVEL: Use as a pop-up laundry hamper, toy basket or fold it flat for easy packing when on the go. If you have any questions about this product by RDI, contact us by completing and submitting the form below. If you are looking for a specif part number, please include it with your message.